HOSTEL 64 Osaka : staff blog: All Tadanori Yokoo posters exhibition ! 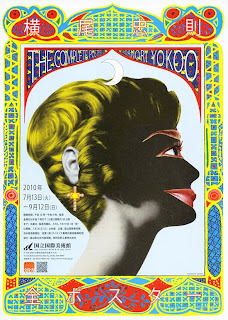 All Tadanori Yokoo posters exhibition ! Tadanori Yokoo's exhibition is started in The National Museum of Art, Osaka. 2 years ago, I went to the “BOUKENOO” in Hyogo prefectural museum of art. It was also Yokoo's exhibition and showed us his lots of oil painting works and others. It took more than 4 hours to look all of his powerful works when I was there. This time, we can look his all posters in museum. I'm very excited to go ! !